With its graduates winning more than 250 Grammys, Berklee is known as one of the top contemporary music schools in the country. Because of that, you’d expect it to pull together some otherworldly talent for its annual SXSW party that celebrates up-and-coming talent from Berklee, Boston, and beyond. 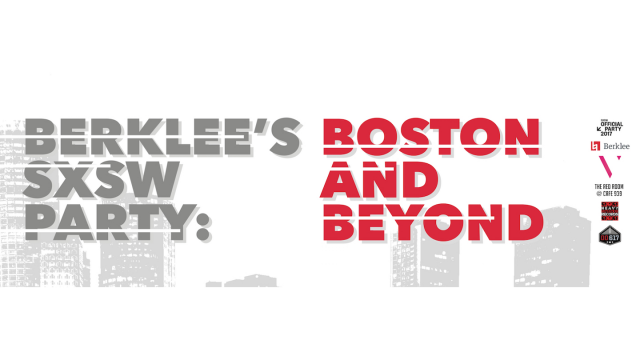 This year, Berklee returns to Friends Bar on 6th street for a day of music at its Boston and Beyond party. Berklee Alumni Affairs, Boston/Berklee venue the Red Room @ Cafe 939, the Berklee Popular Music Institute’s student-run label Heavy Rotation Records, Vanyaland–Boston’s premier online music magazine–and Do617 are helping curate the lineup, which features fast-rising Berklee alumni and student acts performing dream pop, folk, surf, psych-rock, fuzz-rock, and more. Check out the lineup and learn a little more about the bands on Vanyaland.com. Berklee’s SXSW Party is 21+, free, and open to the public. Priority will be given to SXSW badgeholders and those on the list so you better RSVP now at do617.com/bostonandbeyond. Come early for a free drink on Berklee.